The Fresh Prince of Bel-Air made an important impact in the world of TV viewers, and the show’s actors have commented on the loss of their patriarch. Will Smith is the latest to share his grief over James Avery. Nearly a week after actor James Avery passed away, former The Fresh Prince of Bel-Air co-star Will Smith has finally commented on the actor’s death. Avery died on New Year’s Eve from complications of open heart surgery. Smith played Avery’s nephew for six years on the show, from 1990 to 1996. 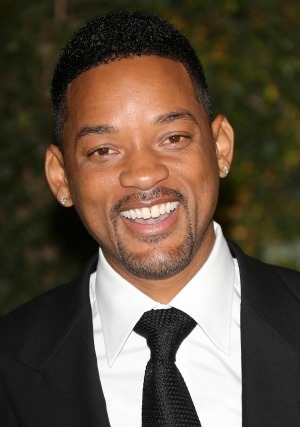 It was one of Smith’s first jobs when he began acting, and he found a mentor in Avery. His Facebook post about Avery showed his respect for the man, as well as how he changed his career path forever. The photo was taken in 2011 when the actors showed up for a charity event for Sweet Blackberry, a charity run by Karyn Parsons, the actress who played Hilary on Fresh Prince. According to the Huffington Post, Sweet Blackberry is a nonprofit whose mission is to inspire children by sharing stories of African-American achievement. Which of these family TV shows from the past is your fave? Fresh Prince‘s Alfonso Ribeiro shared the news of Avery’s passing with the world by tweeting early the next morning. Tatyana Ali, who played daughter Ashley Banks on the show, also tweeted her remembrance of Avery. You can see Will Smith now in Anchorman 2: The Legend Continues in a cameo role. He has numerous projects currently in the works, including Bad Boys 3 and Hancock 2.